Everybody thinks it’s so simple. “Hey, look at me, I’ve got a great big hat! Just call me the Mad Hatter!” They don’t understand how much more there is to a successful mad-hatting career. This isn’t the kind of profession that you choose. This is the kind of profession that chooses you. And yes, hats are an important part of the equation, but a comically oversized top hat does not a mad hatter make. Take the eyebrows, for instance. 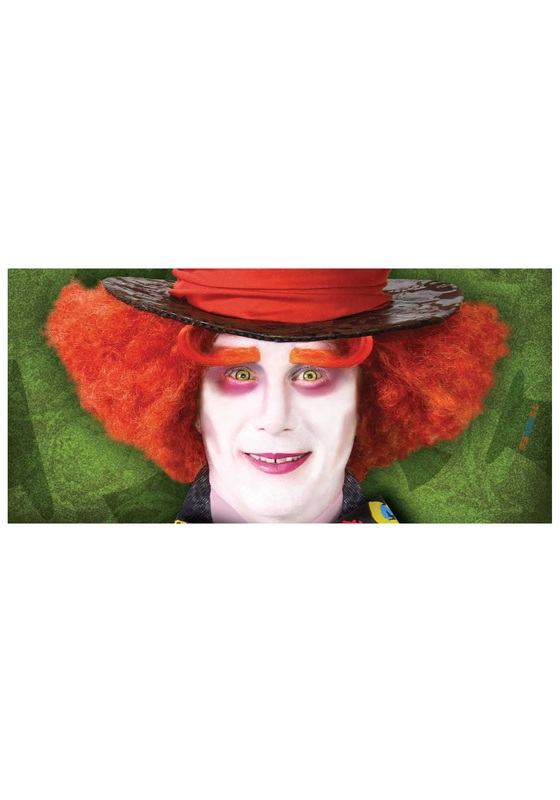 A well-manicured pair of eyebrows are an essential piece of any hatter’s ensemble. These big, bushy brows will be the talk of your next tea party, resplendent in bright orange, tapering to an elegant curl, and made from 100-percent synthetic hair. (There are some old-timers within the hatting community who’ll insist that you need to grow your own, but who has the time?) Remember: an eye-catching hat is all well and good, but at the end of the day it’s not worth much unless there’s something memorable underneath!